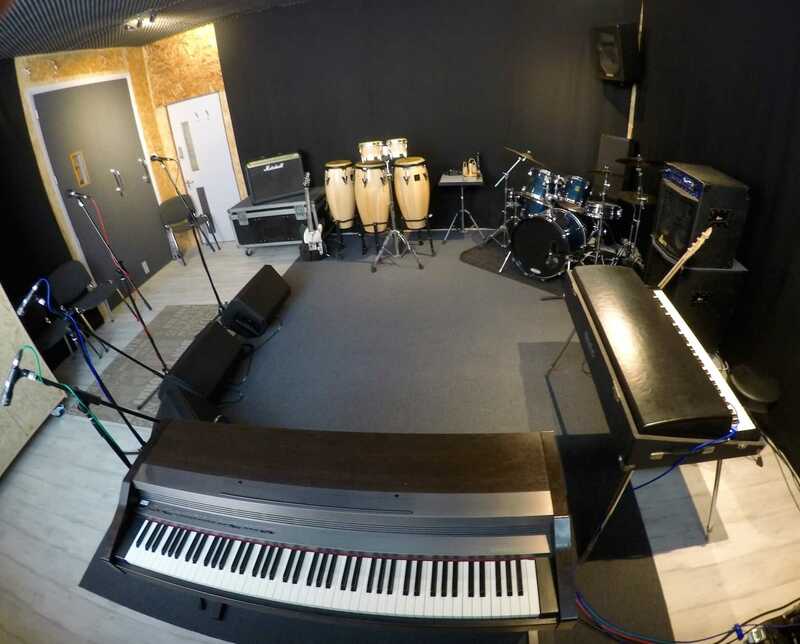 Our Rehearsal Room is a generous size & benefits from natural daylight. 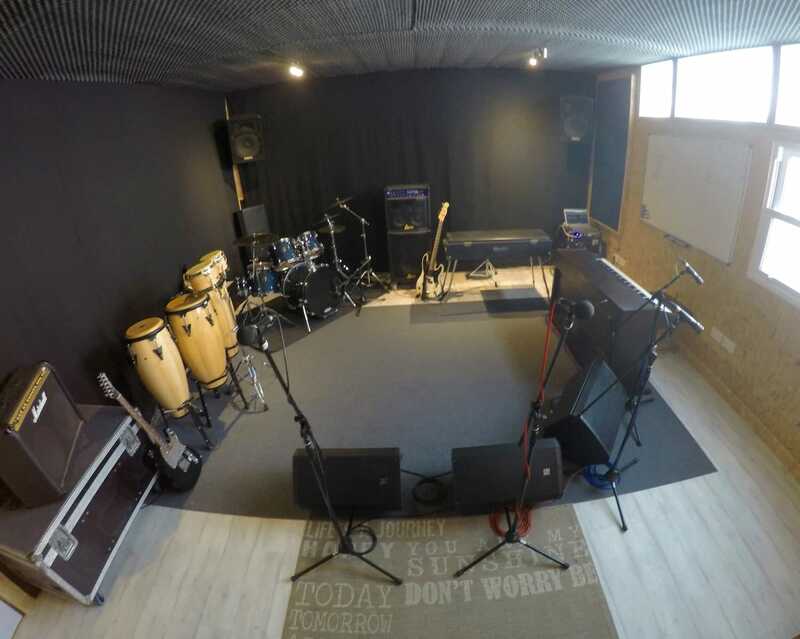 At 6x5m (+ high ceilings), the space is ideal for vibey rehearsals, full band recordings, lessons, filming and creative arts. The room comes fully equipped with PA System (including Audix mics) & 4 way monitor mix. Also included is a 5 piece Yamaha Stage Custom Drumkit. We pride ourselves on being ready and set up for you upon arrival, so you don't waste time. 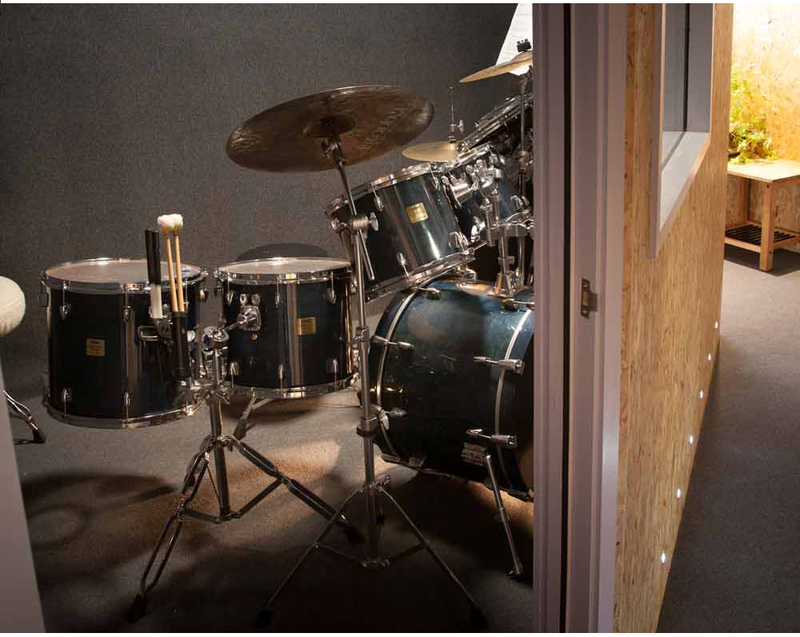 This studio also offers two booths for practacing drums or other instruments, and doubles up a control rooms and seperate recording booths. See booths section below. Please call or message us for more details. 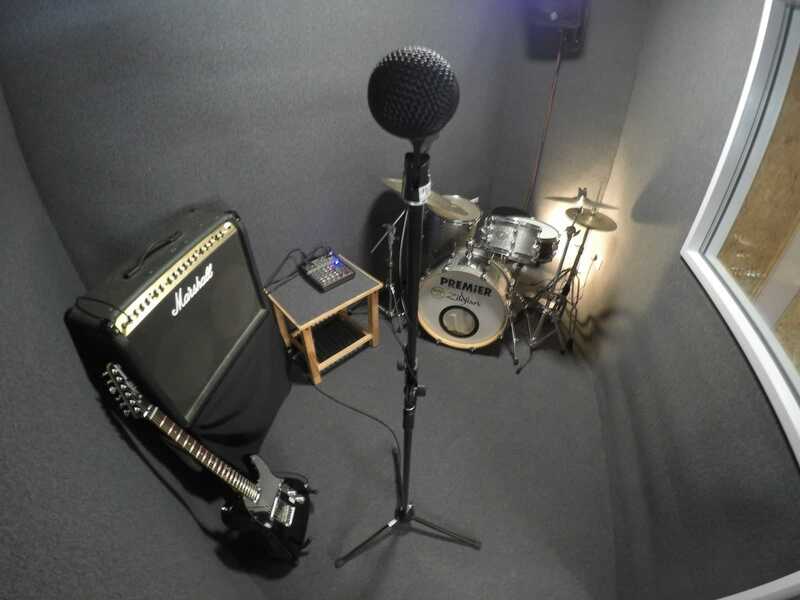 CANCELLATION POLICY: Cancellations or amendments for rehearsal room or booths – 48 hours notice is required for the cancellation of a rehearsal/booths without charge; this includes weekends and bank holidays. If a session is cancelled with less than 48 hours notice, the full cost will be payable. 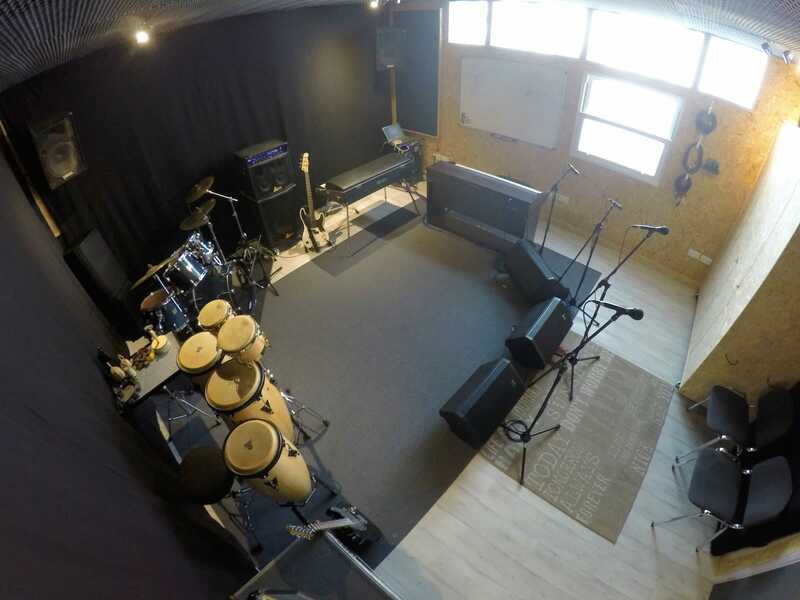 Our naturally lit main Studio space in Cowley, Oxford can be used for a variety of non music related activities. Dance, Theatre, Group Lessons or Clinics, Photography & Film shoots can all be held here. If you like the look of the Studio Space & think you can find a use for it, please do not hesitate to get in touch.